Why I Love Vinyl Records - Part 2. 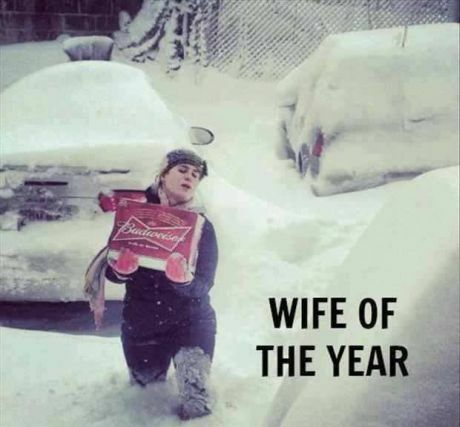 Meet the Wife of The Year! 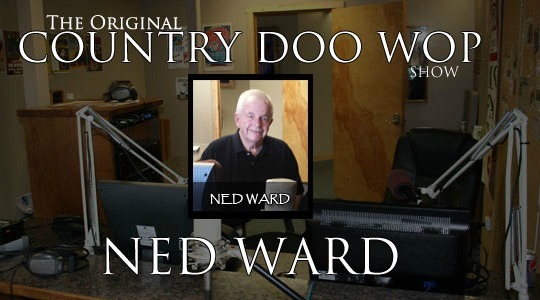 The Original Country Doo-Wop show. 60s Girl Group - The Angels. "My Boyfriends Back" is online for your review. The early 60's was still somewhat a time of innocence. The Angels sang of true love, dreamy boys, heartbreak, crying, and vengeance. They sang that vengeful song "My boyfriends back" with a passion. Read more here. Why I Love Vinyl Records, Part 2. Streaming music vs owning the actual vinyl record. Holding a piece of vinyl is like holding a painting. Well, let me put it like this. Some people collect art. They collect originals to enjoy the beauty of the actual canvas and brush strokes of the artist there in front of them. See photo of painting located above to the right. 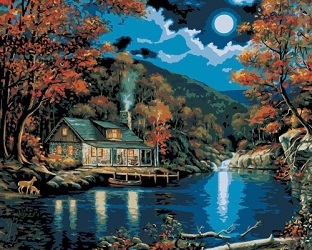 No, I didn't paint it but I could live there. The art collector can hold it and appreciate it. Why not just take a picture of the art and keep the picture? Same thing, right? No, it's much different. Streaming music is like taking a picture of the art. In the end you’re not left with anything tangible. Not really. And CD’s are sterile and identical. There’s nothing to a CD. Someone converted music into digits. I have a vinyl collection of the both 45’s and LP’s. Pressed into the vinyl is a copy of the actual sound wave from the original recording. I can hold it, I can see it, listen to it and appreciate it. I know my records sound like my records. I clean them and take care of them. I enjoy them. Sure, you can stream a song but after it’s done you don’t have the song. I guess you can stream it again. 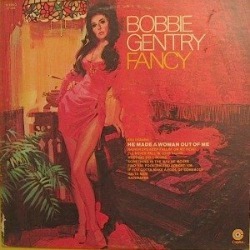 But I can benefit from owning the music with beautiful cover art that surrounds the vinyl record like the Bobby Gentry LP cover above. I've been told CD’s are indestructible. Not in my experience. They scratch if sneezed on! I have 50 year old vinyl with not a single scratch. Love that vinyl. Twist & Shout - Who Does the Best Cover? 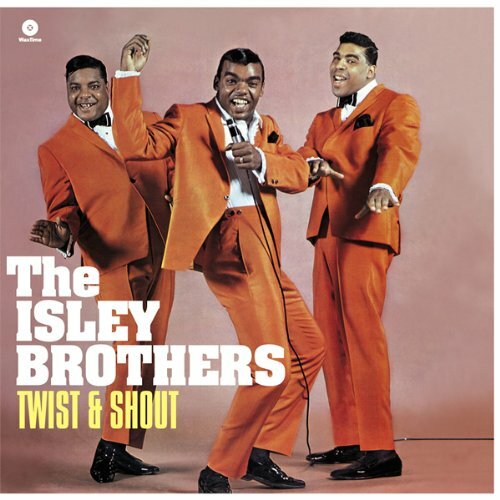 "Twist and Shout" (1961), sometimes known as "Shake It Up Good" was written by Phil Medley and Bert Berns (later cited as Bert Russell) and covered by many artists. It was recorded by The Top Notes in 1961 but this version was not a hit as the energy of delivery that was apparent in the group's live versions did not appear in the recorded version. Songwriter Russell did not like how record producer Phil Spector had treated his song with The Top Notes, so he actually produced the song himself for The Isley Brothers. The result was the group's first hit since "Shout"(1959) and "Twist and Shout" reached number 17 on the Billboard Top 100. 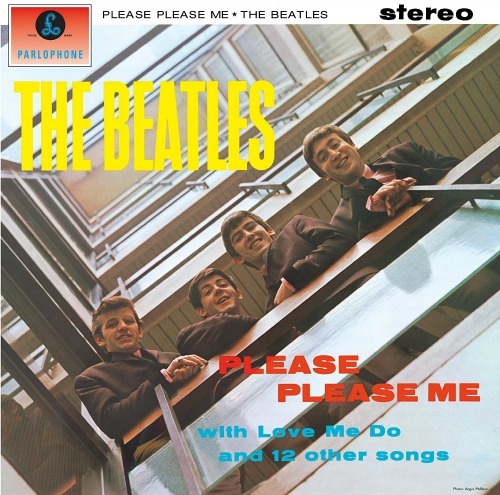 The Beatles' version was one of six cover songs recorded on the "Please, Please Me" vinyl album (shown above). Ten songs were recorded for the album in ten hours in a single day with "Twist and Shout" left for last as producer George Martin knew it would affect John Lennon's voice (as he had a cold at the time). The result was a raw vocal sound which befitted the song. A second take was attempted but abandoned as Lennon's voice was "gone". The song hit number two in the US (The Beatles' "Can't Buy Me Love" (1963) was number one). It was their only cover song that made the top ten of any national chart. Because of its high energy, it was often used to close out their shows. "Sugar Shack" was written by Keith McCormack & Jimmy Torres. 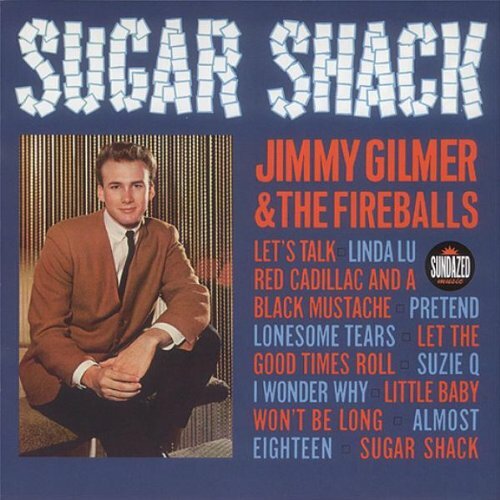 It was number one for five weeks on the Billboard Hot 100 for Jimmy Gilmer & The Fireballs in 1963. It peaked at number 45 on the UK singles chart the same year. As an instrumental group without Jimmy Gilmer, The Fireballs had a number of minor hits on the Billboard Hot 100 in the late '50s and early '60s. They also recorded a number of new backing tracks for posthumous Buddy Holly releases with their producer Norman Petty, who was also Holly's producer. Three of the group members quit the group in the early '60s leaving George Tomsco (lead guitar) and Stan Lark (bass). They recruited new members including Norman Petty's Clovis, studio singer-pianist Jimmy Gilmer and they were then billed as Jimmy Gilmer & The Fireballs. After "Sugar Shack" they had one more Top 20 hit with "Daisy Petal Pickin" which peaked at number 15. In 1968 without Jimmy Gilmer, The Fireballs reached number nine with "Bottle Of Wine". The Rolling Stones & The Gibson Maestro fuzzbox. "(I Can't Get No) Satisfaction" was written by Mick Jagger and Keith Richards. It was number one for four weeks on the Billboard Hot 100 for The Rolling Stones in 1965. It was number one for two weeks on the UK singles chart the same year. "(I Can't Get No) Satisfaction" was first recorded at Chess Studios in Chicago, Illinois, USA, with Brian Jones on harmonica. Two days later they recorded the version that we all know and love at the RCA Studios in Hollywood, Los Angeles, USA, using the Gibson Maestro fuzzbox. This is that unique sound you hear with the guitar riffs. Because of the songs success sales of the Gibson Maestro fuzzbox were so, that all available stock was sold out by the end of 1965. 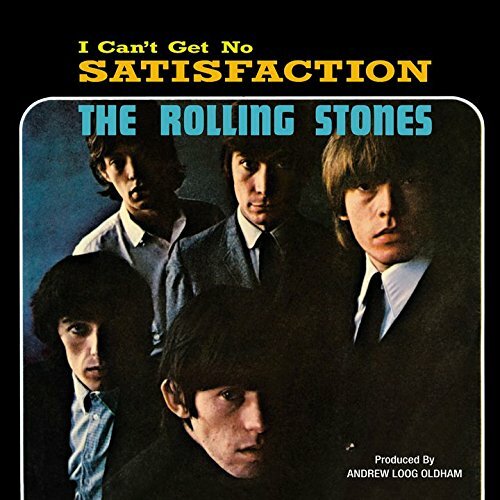 "(I Can't Get No) Satisfaction" was not released in the UK until after it had been knocked off the top in the US by "I'm Henry the Eighth, I Am" by Herman's Hermits in August. The Rolling Stones b-side to "Satisfaction" was about a representative of Decca Records who was escorting the Stones on an American tour. Writing credits for the song were attributed to Nanker Phelge. This was a code used by the Stones to indicate that all members of the band would receive royalty payments for the song. Or maybe Mick and Keith just wanted to spread the blame around a little! Bill Doggett & The Honky Tonk Story. Bill Doggett will forever be remembered for what is perhaps the instrumental hit of the 1950s, "Honky Tonk." While keyboard player Bill Doggett and his combo were performing one night at the Scene, a nightclub in Lima, Ohio, they started jamming for the fun of it. They refined the same riffs over the next few weeks until they came up with an instrumental called "Honky Tonk (Parts 1 & 2)." Featuring Clifford Scott on sax, Doggett's group recorded the song for King Records in Cincinnati. It turned into an unlikely monster hit and ended up at #2 for three weeks on the Billboard Hot 100 in 1956. The song continued to chart for a total of 29 weeks. 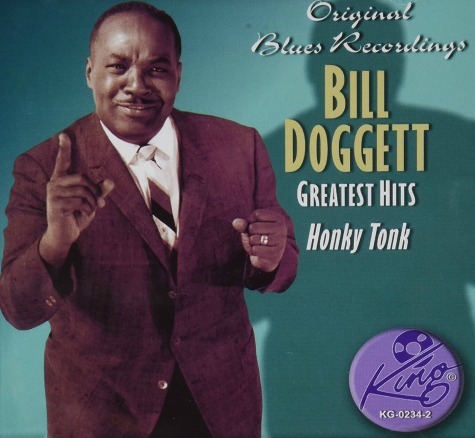 "Honky Tonk" became Doggett's signature piece and an R&B standard recorded by many over the years. Climb aboard the Honky Tonk Express and listen to this R&B classic from the fifties. Article source; The Cincinnati Sound, Randy McNutt. It was just a few short weeks ago that many were snowed in watching the football playoffs on our Big Screen TV's. With everyone glued to the TV and the refreshments going fast, who was gonna make that BEER run. This #1 wife gave it her all.